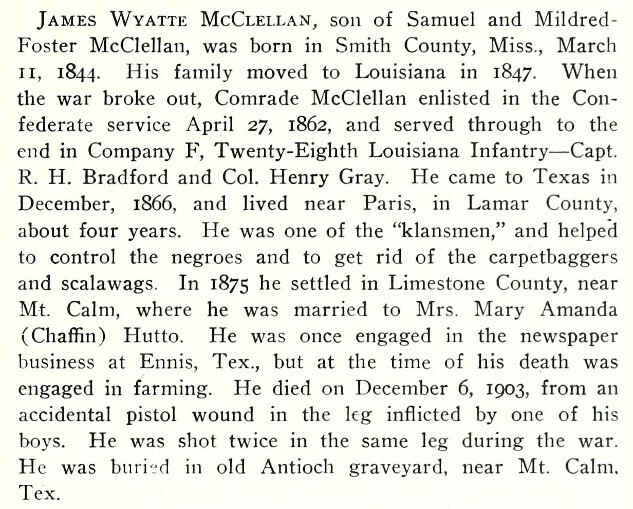 Obituary of James Wyatte McClellan, Mt. Calm, Texas. SOURCE: Confederate Veteran Magazine, May, 1905. SOURCE: Confederate Veteran Magazine, July, 1905.